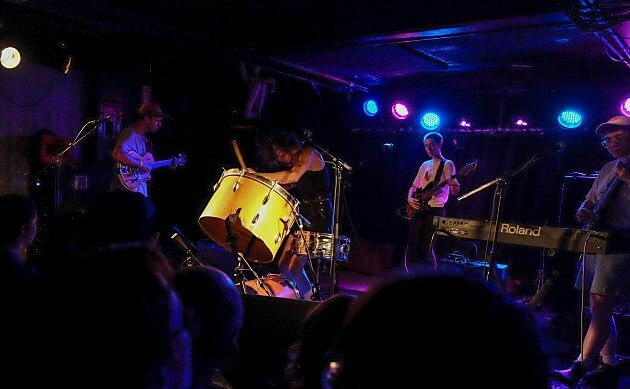 On Monday, July 11, Told Slant and Bellows took a night off from their tour supporting The Hotelier to play a show they hand-curated with Chicago talent at Subterranean. Both bands reiterated throughout the night how excited they were to play with Advance Base (frmrly. Casiotone For The Painfully Alone) and Spencer Radcliffe & Everyone Else as a fun way to recharge before they join back up with The Hotelier for a few remaining dates of the tour. Check out more photos from the show below. Spencer Radcliffe & Everyone Else kicked the night off for Subterranean’s slowly filling upstairs but played the stage like they had done it thousands of times. Even though they’ve only ever played the venue’s first floor, they likely picked up some confidence from their extensive touring last year. 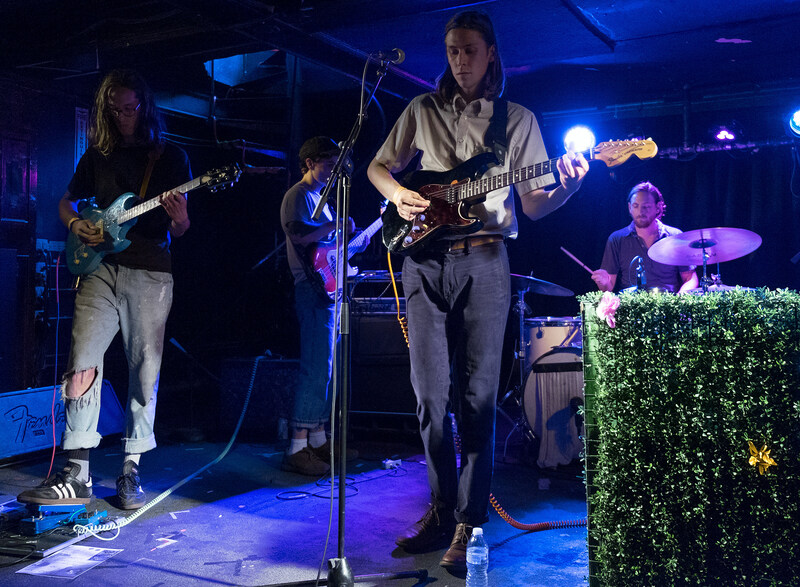 Complete with a decorative cube of chicken wire coated in fake vines, the band ran through a collection of the hits from their Run For Cover debut, Looking In, some new songs from the album they’re currently recording and even a pair of classics from Radcliffe’s Keeper tape released back in 2014. The band’s mix of old and new set the tone for the rest of the night perfectly, with every band pulling from catalogues past and future to keep the sets exciting. Following up Radcliffe’s noisy finish, Owen Ashworth a.k.a. Advance Base took the stage to mellow things out a little bit. Ashworth played like the musical inverse to the band that played before. Every move felt measured and his charmingly intimate banter stood in stark contrast to Radcliffe’s thankful but limited stage talk. The setlist largely stuck to his low-key fall release Nephew in the Wild. After a few songs he chimed in that tonight was the first night of his tour. Well, as much as a tour that a three-week run with your four-year old daughter to a family reunion can be. As always, Ashworth played beautifully and never once came across as though he wasn’t bursting with joy to be playing for the crowd. After the gentle lull created by Ashworth, Bellows’ set forced a shock to the system. As has been hinted towards in the singles for the band’s upcoming album Fist & Palm, Bellows has taken on a much harder edge since the release of their last record. 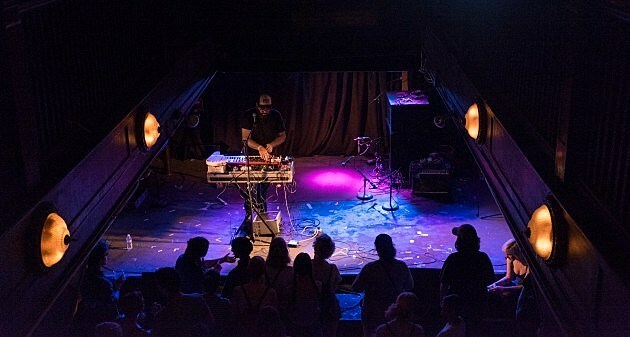 Where Bellows used to be synonymous with softer orchestral instrumentation that inevitably lead into louder orchestral instrumentation, this new incarnation jolts between that same soft of orchestral sound and straight-up noisy rock music. When they performed “For Rock Dove” from Blue Breath the crowd immediately swirled into a fervor when the hints of distortion from the original utterly consumed the gentle highs of the recorded version. The group largely stuck to older material but with this new spin it all felt fresh again, especially thanks to Felix Walworth’s unwatchable energetic drumming and frontman Oliver Kalb’s yelps. Finally, it was time to close out The Epoch double-header with a slight stage shift to transform what used to be Bellows into Told Slant. Felix shifted from a seated drum set at the back of the stage to their standard standing kit front and center while other Epoch members shuffled around to fill their needed roles. 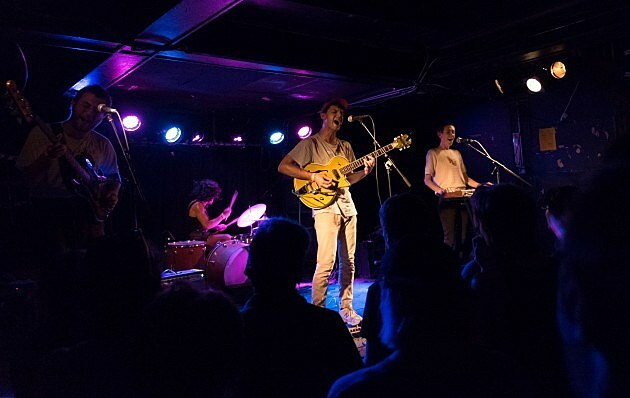 Fresh off of the release of their new album Going By Felix and the group rolled through a nebulous set of songs. They wove together the emotionally devastating folk-rock from both the new record as well as Walworth’s 2012 release Still Water seamlessly, proving Felix’s knack for truly creating a voice all Felix’s own, and establishing a sound that can span albums without getting stale. 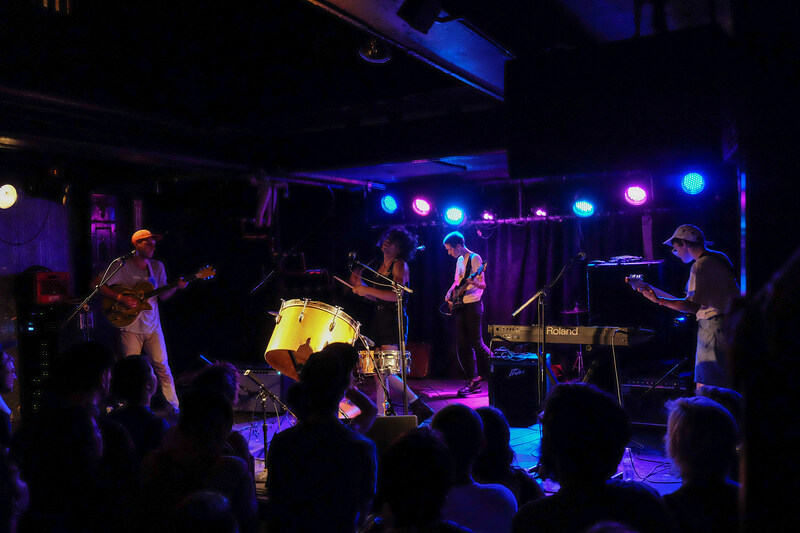 The room was overcome with shouts during Going By cut “Tsunami” with a call-and-response that became more of a complete singalong as the track went on.